Procrastination the thief of time. Sometimes a great idea will come to you. Sometimes you will see it in action, sometimes it will almost be thrust upon you and sometimes it will appear from the most inconsequential beginnings. So what to do with the idea when it happens. Let me illustrate! Some years ago my self and my then girlfriend visited York for the weekend. We had a great time. Amidst all the history, fantastic places and interesting things to see, one thing stood out. It stands out for two reasons, it was fantastic entertainment and it was my biggest lost opportunity ever. It was very simple; we went on one of York’s many ghost walks or tours. From the first instance we knew we were in for a good time. The actor conducting the tour arrived in Victorian costume ringing a bell to beckon the assembled to follow him. There followed a hour of first class story telling and top comedy whilst giving an insight to the supernatural side of York the most haunted city in Britain. After the tour we joined the actor in one of the local pubs for a further hour of excellent story telling. An amazing night out that still sticks in the memory. On a business footing rather than an emotional one, our host pocketed in my estimation over £350 for one hours work! My mind was racing; I decided that I would put together a ghost walk in my home city of Liverpool. Liverpool has more than enough spooky stories to construct an evening of top class entertainment and in so doing make large amounts of cash. So what did I do about it? Nothing, diddly squat that’s what. I thought about it for years, I did nothing, not even some basic planning or research. Great idea no action, then came the stab to the heart. I picked up a leaflet advertising Liverpool’s only ghost walk. Someone had beaten me to it, called it Shiverpool and make a very good living out of it. Good luck to them they took action and I did not, a classic case of not acting immediately. So you may think I never made another error! Next the mistake I made that cost me thousands. Hey Rob thanks for the comment, yea I have taken a look around your blog and I have to say it looks great. Keep up the great work and wait for the success I think it will be your way really soon. I like your blog alot, and I’ll be back. Nice blogging mate – keep up the good work. Not sure I agree that they speak English in the good old USA and Oz – but something approaching. Robert, I could not agree with you more on this. Procrastination steals our dream. Thanks for sharing this post. See you over in the master class. A very interesting post highlighted and backed up by personal experience, I like your slant! I think we can all recall instances where ‘we should have’ but didn’t and then lived to regret but I believe this all adds to experience as you have proven by writing this piece! Well done, I will keep tabs on your future postings! Thanks for the posts guys, Its good to know (I think!) that I,m not the only one who misses out on these opportunities. Just passing by to check your blog and see how it is taking shape. Looks great and I enjoyed reading about procastinations. Not sure if you checked out my blog yet and I invite you to. Also, if you haven’t yet got around to being on Twitter, I encourage you to! check it out at http://www.twitter.com/nicolasbaron and let’s Twitter! I wish you all the best with the course which I hope you are enjoying as much as I am. There’s no doubt that procrastination steals our time. Not only our time but also our goals. 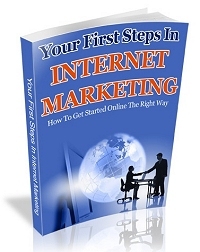 It’s one of the hardest obstacle in internet marketing. There are a lot of distraction since we are working at home. This distractions leads as to procrastinating and it’s just a shame that most people don’t know how to deal with it. In my experience, it’s just a matter of proper mindset and self-discipline.